One of the great pluses of living in Las Vegas: a never-ending parade of global conferences and conventions. 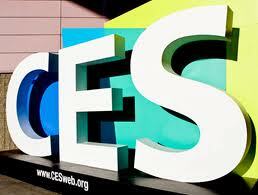 This week: CES, the Consumer Electronics Show. This is the biggest conference on the Vegas calendar. More than 120,000 attendees are expected from all corners of the globe. Luckily, the TV station where I work is 3 blocks away from the Las Vegas Convention Center, so I park at the station, and walk to CES, and score journalism credentials, and I’m in! This is the epitome of geekdom for a guy like me. The whole week will be crazy. I’ve been to CES many many times, and it’s a fact that without an agenda, walking the exhibit floor means nothing but foot blisters. So here’s my question for you: Who do you need me to go see? What booth…what vendor…what manufacturer…which new THING do you want me to scout out for ya? Let me be your eyes ‘n’ ears on the ground in Vegas at CES this week. Give me my marching orders, and I’ll do my level best to track it down.